Join us Saturday, October 27th from 9:30-10:30AM for a Pine Cone Bird Feeder workshop! 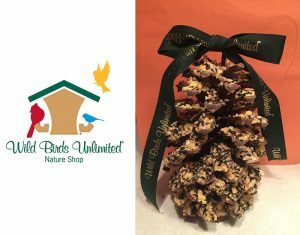 We are teaming up with Wild Birds Unlimited who are also located here in Jacksonville Beach! Tickets are $14.99 and all materials are included.